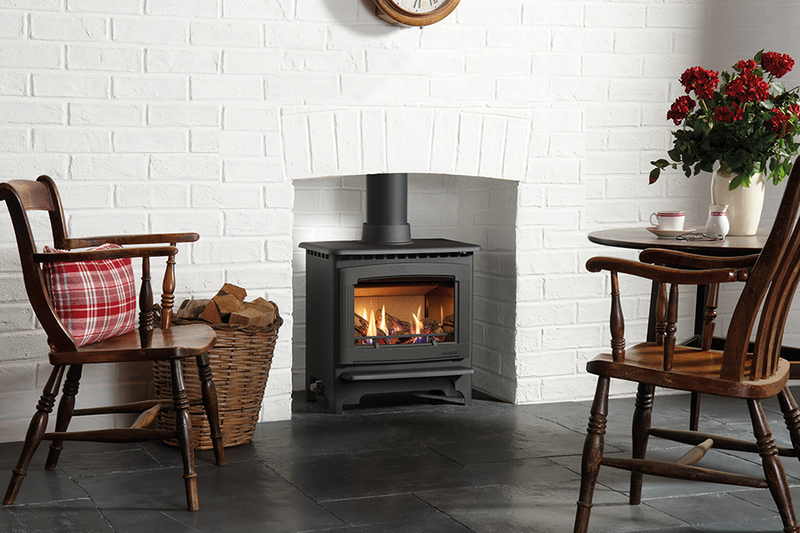 Why choose gas for your fires and stoves? 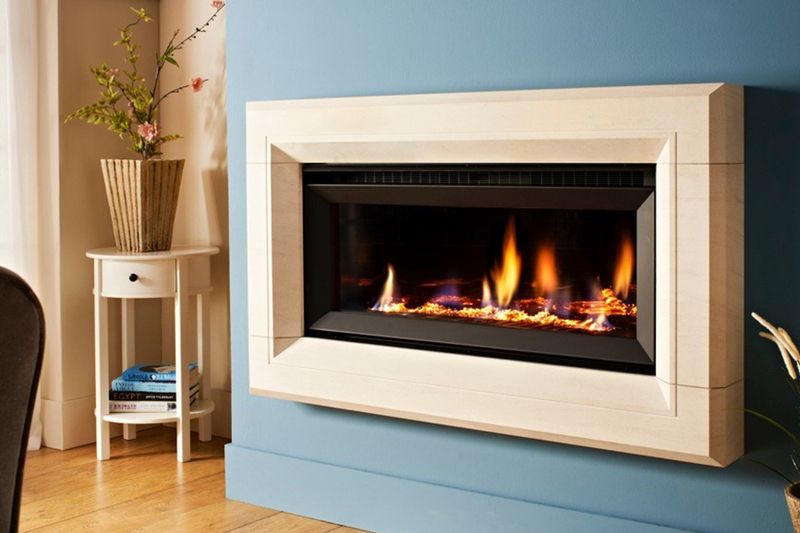 Gas fires - an ideal solution any home. Gas Fires offer a highly efficient secondary heat source that provides a warm, cosy glow and creates the perfect centrepiece for your living space. However, there is more to a gas fire than providing warmth alone. The latest gas fires can offer heat efficiencies of up to 90%, with heat outputs upwards of 6kW. Not only will this keep you warm and toasty, but it also makes gas fires extremely economical. Compared to their electric counterparts, gas fires are approximately 50% cheaper to run – so anyone can benefit from the warmth and comfort of a gas fire without having to worry about excessive bills. Forget the old designs of the 1970s, gas fires have come a long way in recent years – not only in terms of technology, but aesthetics too. The realistic flame provides a warming feeling that is difficult to achieve with electric options and there are now more designs available that ever before. 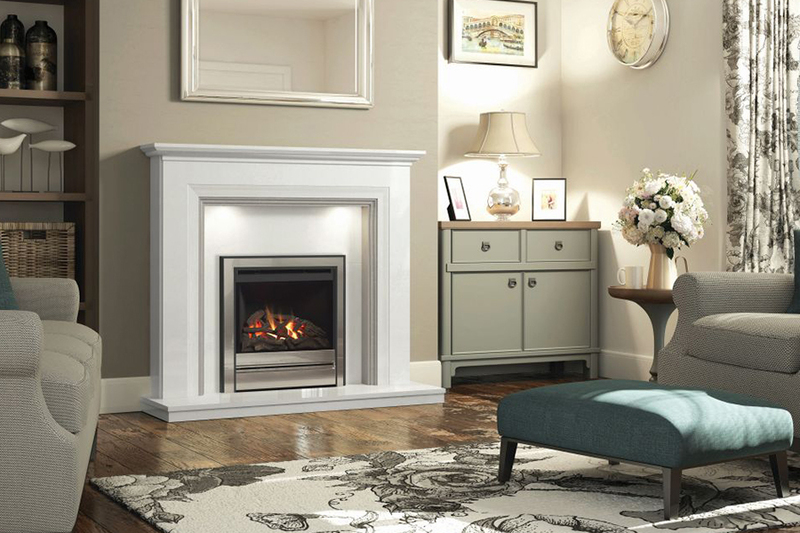 Whether you’re looking for a contemporary option for a sleek, understated living room, or a traditional fire perfect for a period style, it’s possible to choose a product that perfectly suits you. Eight out of ten homes in Britain are heated by gas, making it a reliable and well trusted option. 11 million of these homes are ‘gas fire ready’ with a chimney and gas point, making it easy to install a new fire. With advancements in technology, millions more now have the ability to place a gas fire on an outside wall with a flue. This means that there is no need to rule out a gas fire, even where there is no chimney available. With no ash residue or odours, gas is extremely clean and requires minimal maintenance. What’s more, using a gas fire is simple - all you need to do is switch it on, set the temperature, sit back and enjoy the warming flame. There are models which now offer touch and slide control technology, which enable intuitive control for the user. Some gas fires even boast remote and thermostatic controls, so you can effortlessly obtain the perfect temperature, even when not next to the fire. Modern gas fires are fitted with oxygen depletion sensors as standard. Protecting owners from the effects of carbon monoxide, these sensors detect when oxygen levels fall below safe levels and automatically turn the fire off making gas fires ideal to warm the heart of family homes across the UK.